Camera: Red Epic, Red One, Arri Alexa, FS7, F55, F3, C100, FS100, FS700, XDCAM, HDCAM, Aaton XTR Prod, Grass Valley Cameras and various DSLRs. Audio: Various SQN mixers, Sound Devices mixers & recorders, Tascam and Zoom mixers & recorders, various Lavaliers and Shotgun Microphones. Editing: Final Cut Pro 7, Adobe Premiere CC. Post-Production: DaVinci Resolve 11, Apple Color, Adobe After Effects, Adobe Photoshop, Adobe Lightroom. 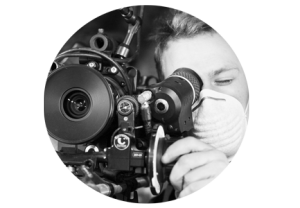 Others: Lighting, Grip, Grant writing, Creative writing, Live multicam editing, Photography. Go-Media, Sylvester Productions, Jeunesses Musicales international, European Trade Union Committee for Education, OCTA Innovation, Wenneker.be, Bonzai Records, Firma Beatmuziek, Protos NGO and many more. An international shot film festival in Napoli.